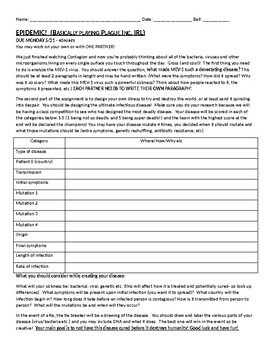 Students will be competing to create the deadliest disease and learning to support their claims with supporting evidence that they have learned in class. This project is designed to allow students to explore the evolution of diseases as they spread and grow throughout the world. We typically watch Contagion (2011) before we complete the assignment, usually during state testing week.